The album design is not the most beautiful in pop history, but certainly one of the most remarkable. Founded in 1978, the band members were unemployed. 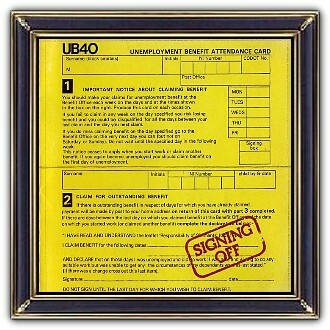 The name UB4O is actually derived from the form for Unemployment Benefits; which completes the cirlce. And with this album they're signing off. 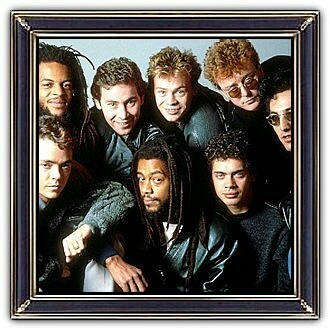 UB40 are a British reggae/pop band formed in December 1978 in south Birmingham, England. 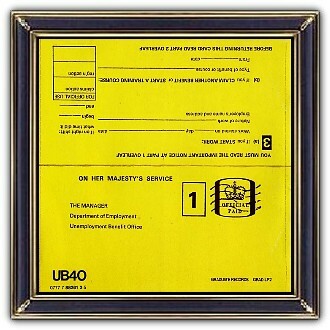 UB40 have sold over 70 million records. The ethnic makeup of the band's original line-up was diverse, with musicians of English, Irish, Jamaican, Scottish and Yemeni parentage. Their hit singles include their debut Food for Thought, Red Red Wine and Can't Help Falling in Love.